Question: I’m confused about which exercise burns more calories, walking or running? Answer: I am asked this question frequently, simply because more people exercise to lose weight rather than for its health benefits. The idea of doing a minimal amount of work–while reaping the same rewards as you might from hard work–is appealing. Unfortunately that’s not the way it works. So does running burn more calories than walking? Well, yes and no. If you run for 20 minutes or walk for 50 minutes, you end up burning about the same amount of calories. But if you walk for 20 minutes or run for 20 minutes, running will create the biggest calorie deficit. So I generally tell people, if you’re short on time, kick up the intensity. If you’ve got more time, are more prone to injury or simply have an aversion to high-intensity activities, then go with a lower-intensity exercise, such as walking, biking or swimming. Just remember that the lower your exercise intensity, the lower the calorie expenditure, so how long you exercise becomes more important. Do keep in mind that everyone’s body responds differently to exercise. So even though you and your spouse may both be walking for 45 minutes each day, your results will differ. This is because the number of calories you expend during exercise depends on your body composition (lean mass vs. fat mass). The more muscle mass you have, the more calories you will burn. In addition, the type of exercise you do and the muscles that are involved will also dictate the amount of calories used. The American College of Sports Medicine recommends exercising three to five times per week for 20- to 60-minute sessions. Your heart rate should be between 60 percent and 90 percent of its maximum. You can buy a heart rate monitor at any sports store. In my opinion, duration and consistency are key. Therefore, if you select an exercise that you enjoy, you are more likely to stick with it and enjoy doing it for longer periods of time. 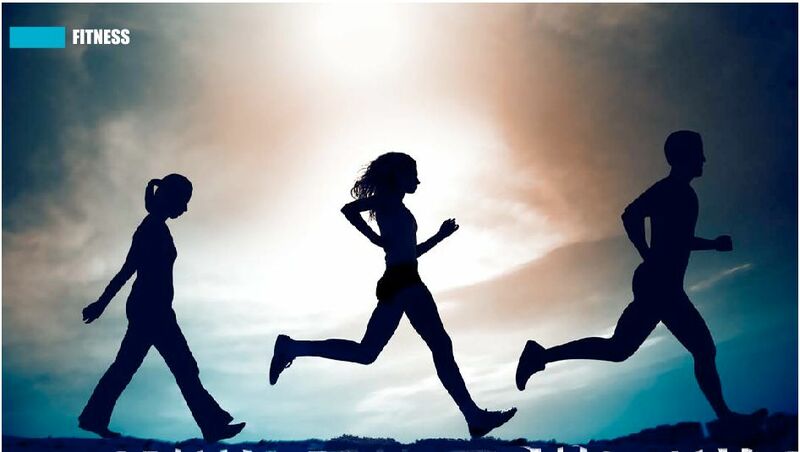 If you are exercising only so you can hurry up and get thin, you are more likely to quit, thereby never achieving good health, which should be the ultimate goal! Here’s the bottom line: Most people seem more interested in burning calories than in becoming physically fit. The reality is, if you exercise for its health benefits and take the focus off of the calorie issue, a healthy weight will be a natural byproduct. Trainer tip: When people say they don’t have time to exercise, I remind them that even 10 minutes here and there can make a difference. Get your squats in while brushing your teeth, stretch while watching the news, sneak in some leg lifts under your desk at work and when you’ve got a 10-minute break, a brisk walk can make all the difference in the world. Little things mean a lot!